Uber’s biggest rival in China, Didi Kuaidi, is backing Lyft. Uber CEO Travis Kalanick is rarely one to beat around the bush, but particularly so where the company’s future in China is concerned. “Simply stated, China is the #1 priority for Uber’s global team,” he wrote in a letter to investors in June. Why? China, with its 1.3 billion people, growing middle class, and heavily congested cities, represents nothing less than a tremendous opportunity for Uber. Nine months after Uber launched in Beijing, its trip volume was 29 times what it had been during the same initial period in New York City; in Hangzhou, that multiplier was a stunning 422. In June, Kalanick said Uber aimed to launch in 50 Chinese cities over the next year; on Tuesday he doubled that target on the heels of an announcement that Uber had raised another $1.2 billion for its China operations. While Uber has appeared to plow through regulations and roadblocks in most countries, its path in China is less easy. In part, this is simply the nature of operating in China, a tightly controlled market that many U.S. tech companies have either struggled to crack or opted to avoid entirely. But it’s also because in China—unlike in much of the rest of the world—Uber faces a formidable local rival. That company is Didi Kuaidi, an on-demand ride operation with more than $4 billion in cash reserves, a $16 billion valuation, and control over an estimated 80 percent of China’s private-car–hailing market. Just this week, Didi Kuaidi said it had wrapped an additional $1 billion in funding, bringing its latest round to a total of $3 billion. Where Uber is live in fewer than 20 Chinese cities, Didi Kuaidi offers services in at least 360. As fun as escalating funding wars are (though really, who can keep track of Uber’s raises these days? ), the more interesting tidbit comes from a Thursday story in the Wall Street Journal: Didi Kuaidi has quietly backed ride-hailing service Lyft. This is interesting for a couple of reasons. First, as previously explained, Didi Kuaidi is Uber’s biggest rival in China, and Lyft is Uber’s biggest rival in the United States. Second, while Lyft is Uber’s biggest rival in the U.S., it lately hasn’t felt like much of a rival at all. That’s at least partly due to the fact that Uber is almost constantly in the press for one reason or another (sorry! ), whereas Lyft has managed to maintain a much lower profile. But it’s also because in terms of plain statistics, the two companies barely compare. Uber’s aggressive expansion has made it a global giant; it operates in 60 countries and more than 300 cities. 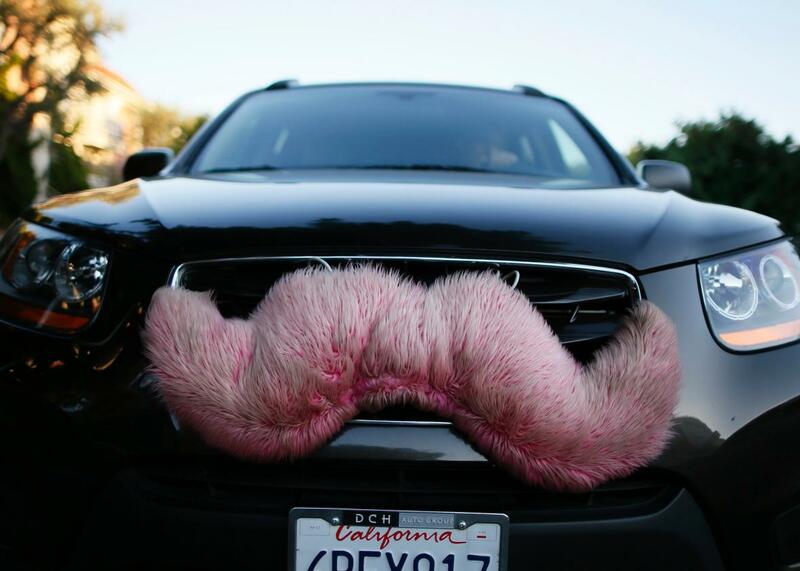 Lyft is available in 65 cities—hardly changed from this time last year—and limited to the United States. Uber’s war chest tops $8 billion; Lyft’s, while far from insignificant, is much smaller at $1 billion. So! Lyft has no international presence, and yet we now know that the most recent funding round it closed in May included investments from Didi Kuadi plus fellow big-Chinese-Internet-companies Alibaba and Tencent. Alibaba had invested in Lyft before; Didi Kuaidi and Tencent were new participants. What could they want with Lyft? Well, presumably to boost its competition against Uber in the U.S. as a means of stifling its aggressive expansion in China. (Alibaba and Tencent are also both investors in Didi Kuaidi, so they have a vested interest in ensuring that Uber doesn’t overtake it.) According to the Journal’s unnamed source, Lyft has “discussed ways to work with its Chinese investors to compete strategically with Uber, including sharing product plans.” Lyft also said in March that it planned to expand to its first city outside the U.S. by the end of the year, though it’s given no additional details on that. Anyway, it’s hard to know quite how to interpret this revelation, but it kind of sounds like Lyft has been relegated to pawn status in the bigger clash between Uber and Didi Kuaidi. That’s a little depressing, not least because it sort of seems like what you’d expect to happen when a company tries to parry brash business tactics with feel-good branding and fuzzy pink mustaches. Then again, maybe the guidance of three Chinese Internet giants is just what Lyft needs to power back up.